This thing is super awesome! Very very Oppo. Wait it is Oppo? Why? 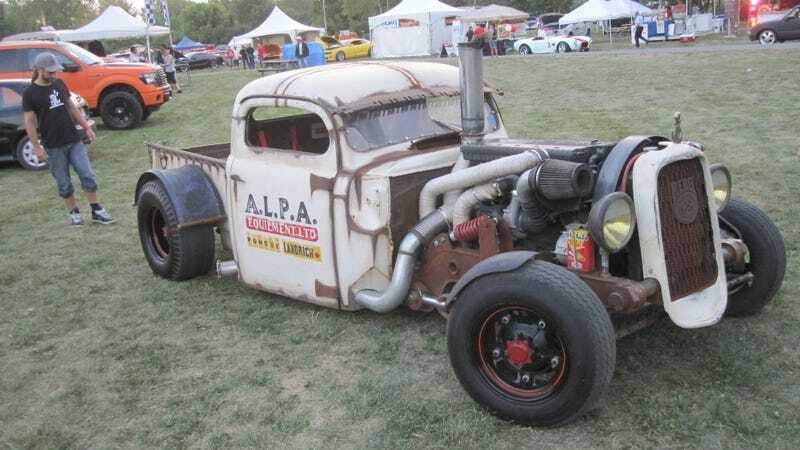 It is just a Rat Rod truck. Why is it special? Because the heart of this beast is a Mercedes turbo diesel engine. So without further adieu, here are more pictures. The Lumberjack is equipped with an Allison 2000 transmission specially programmed. Weight / Poids: 4 000 lbs. Fabrication time / Temps de fabrication: 1 000 hrs.